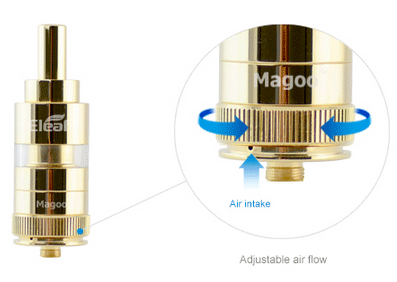 The Magoo-C is a quality atomizer from iSmoka that gives you many choices. 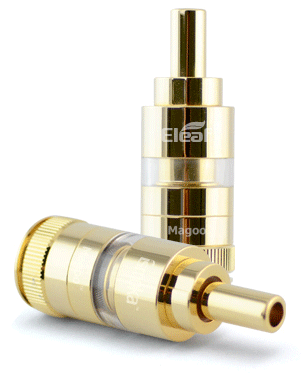 It features adjustable airflow, adjustable liquid control system, replaceable mouthpiece, and single or dual heating coil capability. 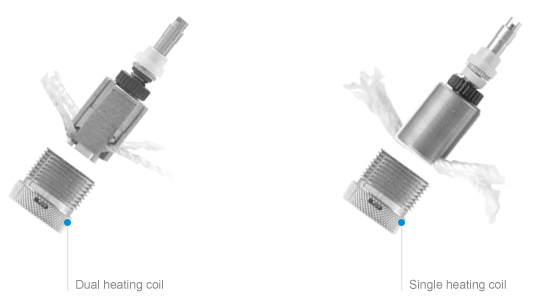 In addition, the scalable positive pole contact will better adapt and protect battery contacts, so you can use it safely. 1. Window lets you see how much e-juice is left and when it's time to refill. 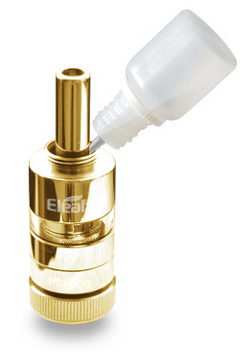 Turn mouthpiece to control how much e-juice feeds into wick. 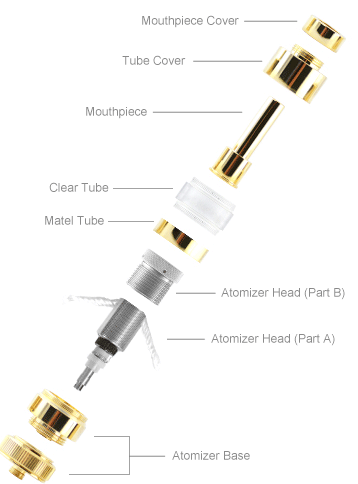 Unscrew mouthpiece cover and gently squeeze e-liquid between tube cover and mouthpiece as show in picture on left. Do not overfill. 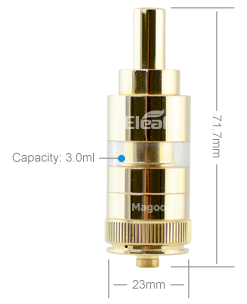 The Magoo-C atomizer works for battery with 510 thread such as Mini iStick 10W Battery, Mini iStick 20W Battery, iStick 20W Battery, Mini iJust Battery, iTwist Mega Battery, Mini iKit Automatic Battery and iKit Manual Battery.